On October 4th, 1944 13 soldiers perished in an air crash above Oltre il Colle (BG, Italy). For decades little was known of them, also because of the classified nature of their flight. This restriction has been now removed and, as a consequence, recently it has become possible to reconstruct what happened and to celebrate their sacrifice. On that night, a four-engine B24 Liberator of the American Air Force named “Lady Irene” took off from Brindisi for the Alps. Its mission was to deliver supplies, ammunition and money to Italian partisans. Thirteen soldiers and airmen were on board, of which ten were Americans and three Italian agents of the American Secret Service to be parachuted over Monasterolo (BG). Owing to darkness, fog and clouds above the Orobian mountains, the plane crashed on the ridge of mount Menna (2300m), near Pezzadello. In remembrance of this event a memorial Diploma “B24 Liberator” was established, to be issued to all stations achieving the appropriate qualifications and requesting it. This Diploma will be undersigned by the President of the Albino ARI Section, by the Albino President of ANPI (National Association of Italian Partisans) and by Rita Sloan Vogt, the sister of the commander pilot of the crashed airplane, Charles Robert (Bob) Sloan. 1. Participation : OM and SWL all over the world. 2. Date and Time : From 00.00 UTC November 07 (Friday) to 23.59 UTC November 23, 2014 (Sunday). 3. 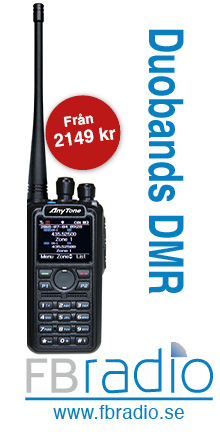 Bands : 20, 40 e 80 meters. 5. QSO : Contact member stations of A.R.I. – Branch of Albino or the “jolly”(wild card) station IQ2CP. The same station can be connected several times on different days or on the same day but using different bands or modes. A.SSB QSO : QSO/HRD with ” jolly” station IQ2CP = 5 points. QSO/HRD with all others accredited stations = 1 point. B. CW and RTTY QSO : QSO/HRD with ” jolly” station IQ2CP = 6 points. QSO/HRD with all others accredited stations = 2 points. 8. Exchange : The station IQ2CP and all the accredited stations will send RS(T) and progressive QSO number. All the other stations will send RS(T) only. A. Italian stations : 20 points (15 HRD for SWL). B. European stations: 15 points (10 HRD for SWL). C. Outside Europe stations: 10 points (8 HRD for SWL). A, Printed log or electronic file (txt file) with all your personal references (Call, Name, Surname and address) and the details of the QSOs as: Date, time(UTC), band, mode, station contacted, RS(T) sent, RS(T) received, progressive number received. B. the amount of 10 euros or $US15 (IRCs or stamps are not accepted). C. or you can pay via Credit Card or PayPal the amount of 12 euros or $US17 (with transaction fees) using the specific option in the Home Page on <www.arialbino.it> or using the website Menu option ” Pay on-line” . 11. The award will be sent by mail or, preferably, by electronic e-mail in PDF format. Please let us know if you like this. In case of no instruction will be sent by regular mail.